From The Louvr in Paris to The Metropolitan Museum Of Art In New York City, there are some incredible museums around the world filled with art, history, and wonder. But they all have one thing in common - they're all above water. One new museum is doing something a little different and taking their exhibits down under. 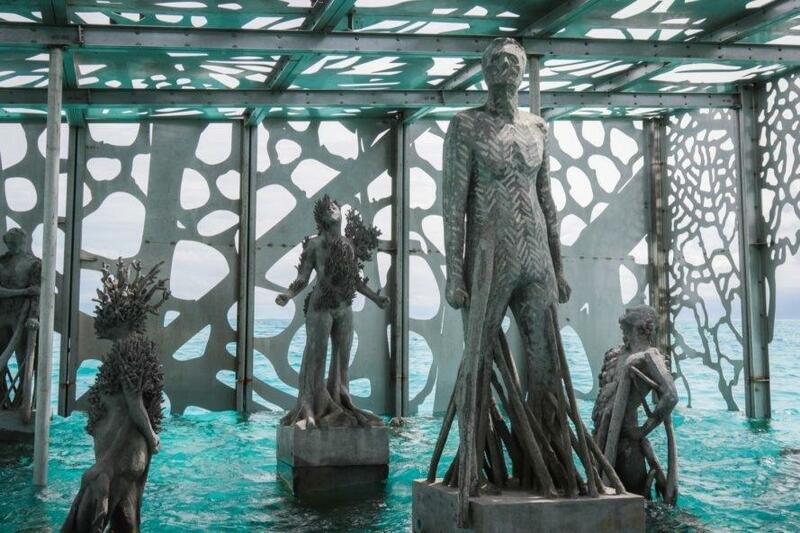 Located in the Maldives, British sculptor Jason deCaires Taylor recently opened "The Coralarium" - the world's first underwater museum. Bringing land, sea, and air together, his most recent work is a semi-submerged tidal gallery space that exhibits a series of sculptural artworks on the skyline, inter-tidal waterline, and seabed. 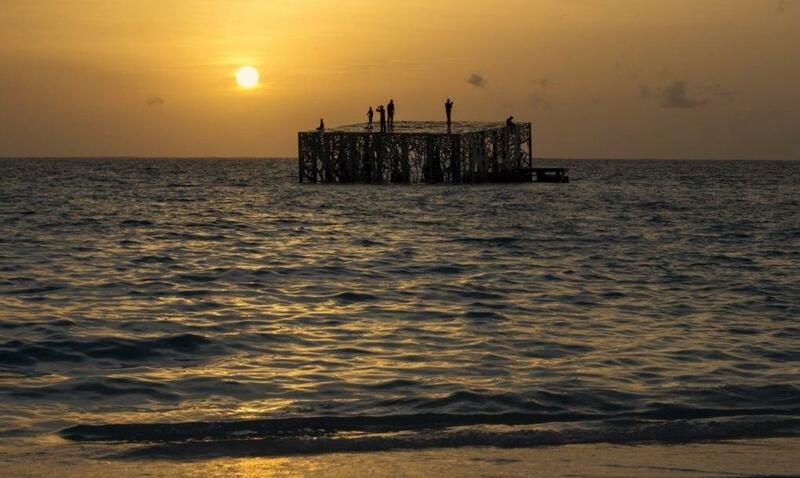 The Coralarium aims to create a direct pathway to the ocean. The sculptures themselves are hybrid forms, part-human, part-plant, part-coral. His website describes his art as "assimilated by the ocean and transformed from inert objects into living breathing reefs: positive and life-encouraging human intervention." 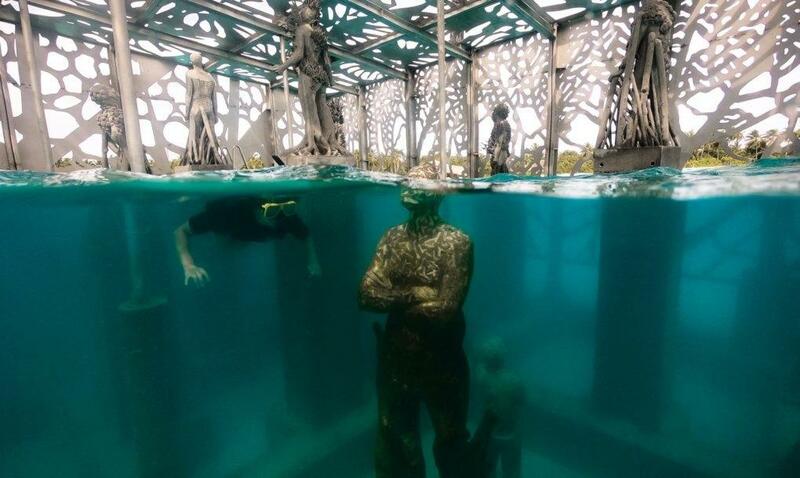 Ultimately, the underwater art installation challenges its viewers to think about how climate change will impact future generations. The underwater part of the exhibit includes a series of children looking up towards the surface of the sea, posing questions about the threat of climate change and sea levels rising, shares The Fairmont's website. 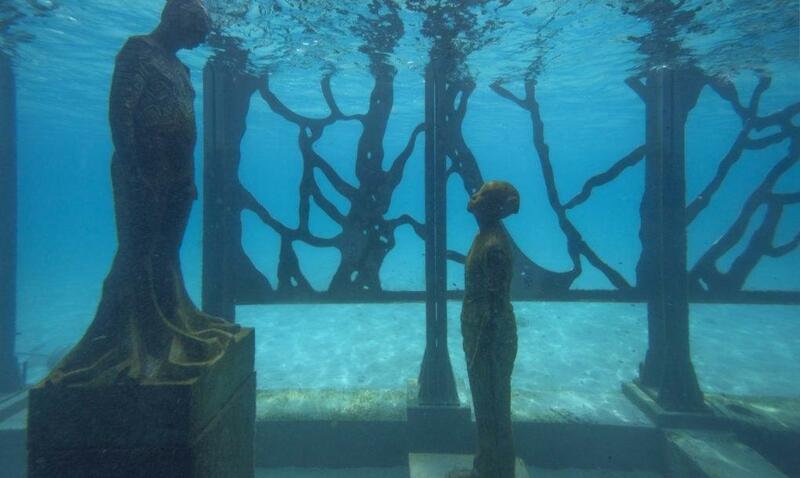 Since some areas of the museum are submerged, visitors can only experience them by snorkeling. 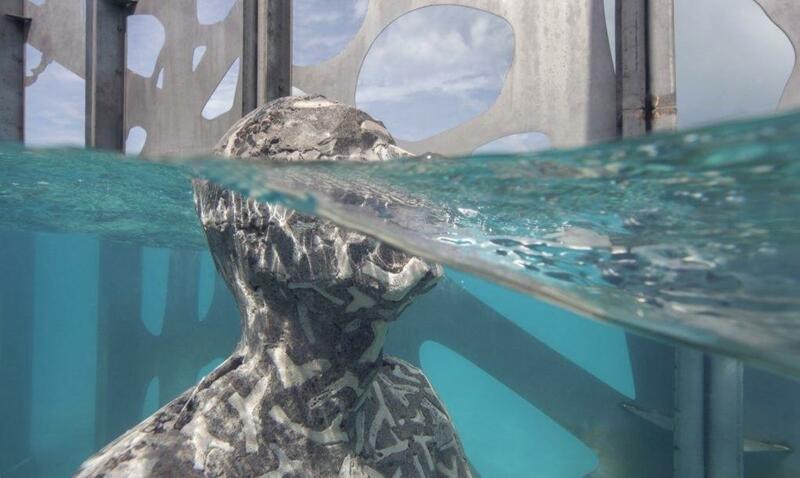 The submerged structure was made with stainless steel panels and is designed to not only provide additional marine habitat but promote coral growth. The roof was designed with coral in a way to allow beams of light to illuminate the individual works and a series of underwater lights to light up the space in the evening. 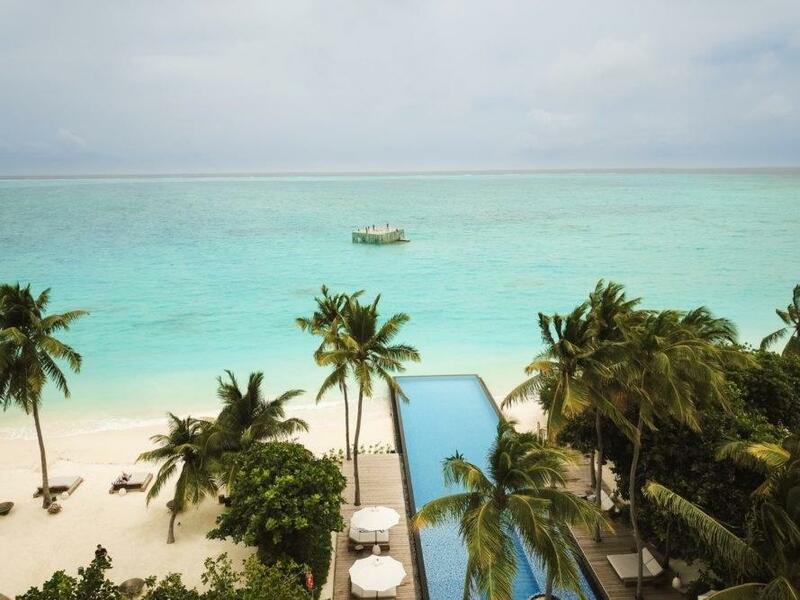 Visitors access the art installation first with a long swimming pool cutting to the beach and leading to a pathway that takes you into the sea. The organic forms used in the installation are based on endemic species of the island and its surrounding reefs; banyan trees, screw pines, strangler ivy, mushroom and staghorn corals. Many of the works feature root systems, symbolic of the dependence of humans on the natural environment and connection to place. White calcium coral, formed of bones ingrained into the surface of works, aims to show how the reef is part of the Maldivian DNA. Leaves on the base of the plinths will provide additional marine habitat space. “Overall the installation aims to draw all the elements of life on earth together, to portray a system where all components are dependent on each other, humans and the environment in coexistence, a leveling of relationships. 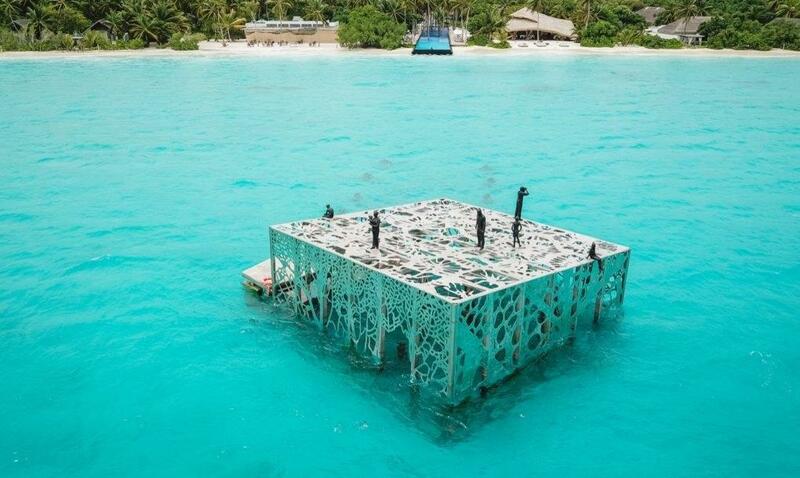 The Coralarium becomes a portal or interface to the wonders of the underwater world," according to the project's statement. The Coralarium is now officially open and visitors can see it with guided tours in small groups led by the The Fairmont’s resident marine biologists several times a day.